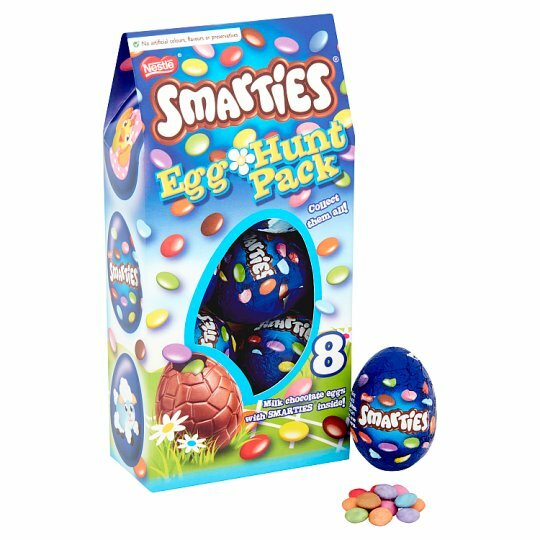 Eight hollow milk chocolate eggs containing mini Smarties (14%) (milk chocolate in a crisp sugar shell). The Nestlé Cocoa Plan® works with UTZ to ensure a better future for cocoa farmers and even better chocolate for you. 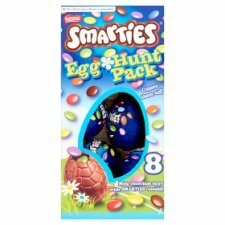 Milk chocolate eggs with Smarties inside!